Dimensions : 116 H x 164 W x 40 D cm. 18th century period house, Brussels. The mantelpiece is bow-shaped, and one can make out the Rocaille shapes on which the floral and plant motifs in high relief are based. This antiqes furniture magnificent piece can hold pride of place on its own, even if in the past it surely was part of a unit of sculpted wooden panelling. 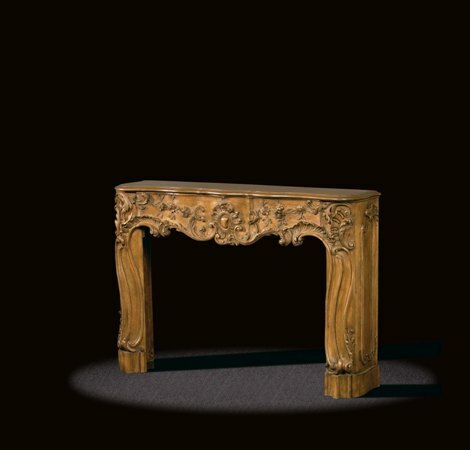 It will easily embellish any room that one would wish to be as welcoming as it is beautiful. I saw one today in Egypt in a furniture showroom..it looks amazing..